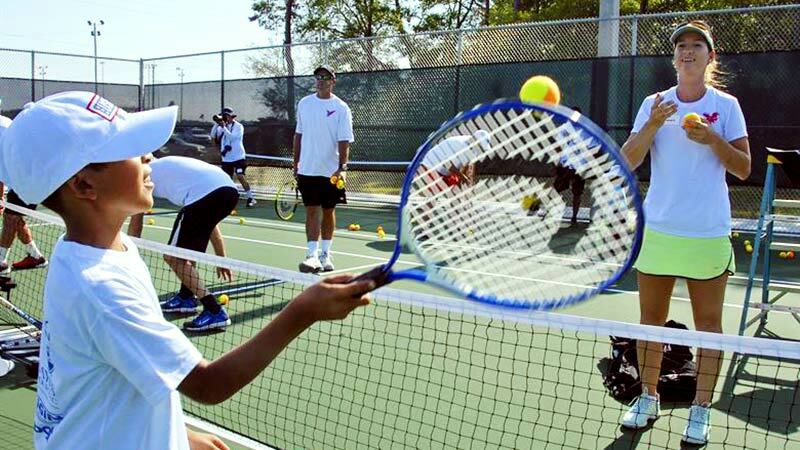 If you’ve been thinking about becoming a tennis coach, you’re in the right place. 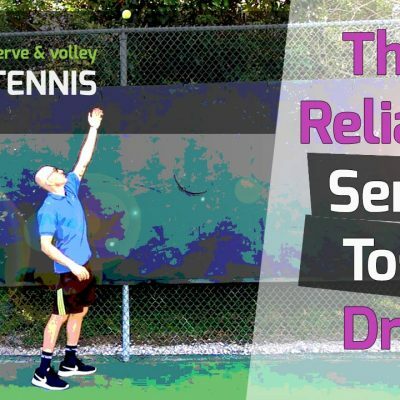 In this blog post I’m going to outline the keys to becoming a successful tennis coach and why you should be one. I know you probably have a lot of questions on what it takes to be a paid tennis instructor. I’m going to give you a lot of answers here, so you can learn from my experience. 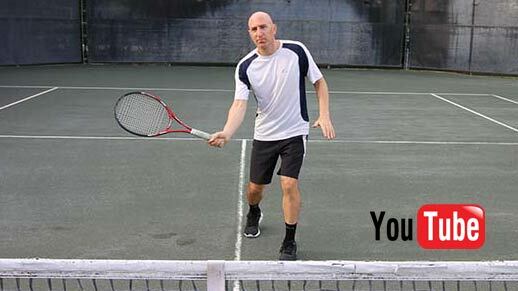 You may have been wondering if you have what it takes to coach tennis. The truth is, if you play tennis at a 4.5 level or higher and possess a friendly personality, you probably do. I’ve been a tennis coach on and off for 25 years. Over the last four years, I’ve been consistently coaching part-time (average of 10 lessons per week) and it’s been incredibly rewarding. It’s an awesome feeling to use your tennis skill and knowledge to make someone’s game better. As a coach, you’ll be working with all kinds of people: kids, young adults, people aged 20s-50s, and even seniors. 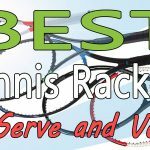 In this post, I’ll tell you about my experience as a tennis coach in South Florida. I’m going to share how much money I make, how you much you can expect to earn, and the pros and cons of being a tennis coach. 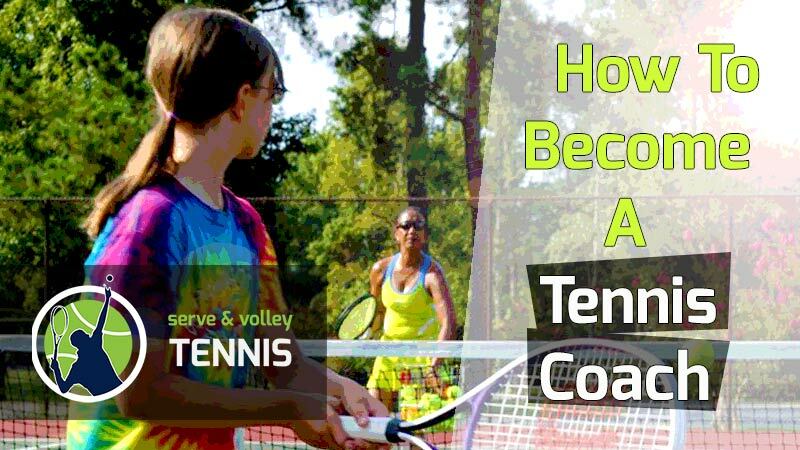 Why Become A Tennis Coach? I can honestly tell you I love working with all my students. As a result, the same students have been with me for years. You know that you’re providing value and getting results for clients when they stick with you for the long-term. That’s the mark of a great coach. Being a tennis coach has other benefits as well. You can set your own hours, choose the clients you work with, and not have to answer to a boss (if you coach privately). One of my favorite parts of being a tennis coach is getting to meet different types of people. Most are successful, educated, and well-mannered. This also makes it a great way to network with people who have money and possible connections. I love talking with my clients and discovering their stories, and sharing a passion for tennis. Coaching is just fun. You travel to different courts, make connections, and generally brighten people’s day. If you have good tennis skills and like being around people, being a tennis coach is an awesome business. How Much Do Tennis Coaches Earn? 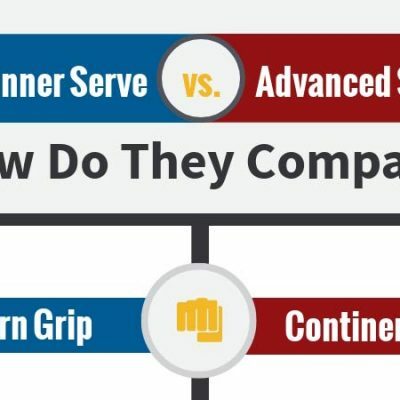 How much a tennis coach earns depends on a lot of factors. On the low end, tennis instructors who work for a college or tennis camp can expect to earn about $15 per hour. These are typically entry level coaching jobs. This is what I made when I used to coach at my college (I was in college and playing on the team at the time). On the high side, and in the most lucrative markets, coaches can charge $300 per hour or more. In my county, the better coaches charge around $60-$75 per hour. As you can see, there is quite a disparity in range. I don’t know of any private coaches who charge less than $30 per hour in my area (South Florida). I personally charge clients an average of $40-$50 per lesson, depending on several factors. I go in depth a lot more on pricing in my e-book and course. 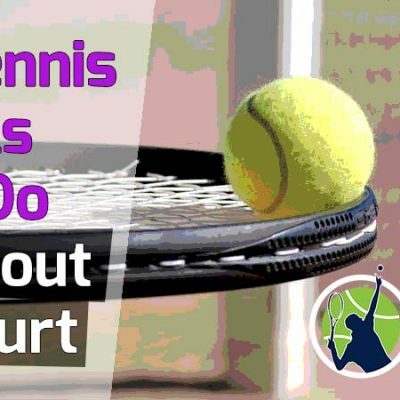 The coaches who can charge and collect more than $100 per hour usually have decades of experience, work at famous tennis academies, and have coached young students to the pro ranks. One such example is Rick Macci, who owns an academy in South Florida and charges $300 per hour for private lessons. He’s now a multi-millionaire and one of the most successful coaches in American tennis. In my ebook and course, I break down how you should price your clients. Your skill level as a player will be a factor, as well as the gear you have and your experience and credentials. Most businesses require a sizable amount of startup cash. But you can start off coaching for less than $50 and no formal training! This is another aspect of coaching tennis that I love – the small financial barrier to entry. I would suggest you budget a bit higher though if you want to attract and retain clients. You definitely don’t need a huge investment to start coaching – a few hundred dollars will take you far at the start. You can really scale up coaching too. And the more clients you have, the easier it is to attract more business. This is because clients will refer you to their friends, family, and associates if they like you. 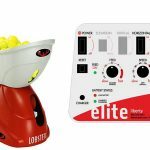 When I started giving lessons again four years ago, all I had was a hopper and 75 used tennis balls. My total invest was $30, which was for the 75-ball hopper (Amazon link). I saved 75 balls from the matches I was playing, and bam, I was in business! 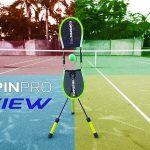 While I could coach effectively from my previous years of working with clients, it wasn’t until I began investing in needed tennis equipment that my coaching services became more valuable. In my ebook and course, I list out all the equipment you’ll need, from the bare minimum gear up to the gear needed for serious coaches. Depending on how involved you want to get with coaching, you should budget from several hundred dollars to a couple of thousand to start. If you have the required gear, you’ll look more professional and you’ll be able to teach more effectively. While I like working with adults, it’s the children that motivate and inspire me the most. Their tennis future is dependent on my coaching expertise. Most children come to you as blank slates and it’s up to you to mold them into competent players. Every child has different levels of ability. 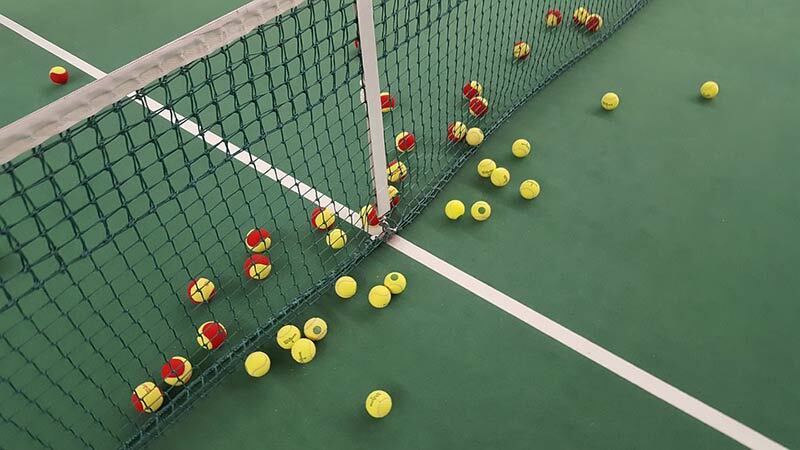 Some pick tennis up quickly while others take a lot longer. If you like kids, you’ll love coaching, but you’ll need patience. It’s always a thrill when you teach a new technique to a child and he or she can pick it up. It’s very rewarding to see a child make steady improvement under your wing. 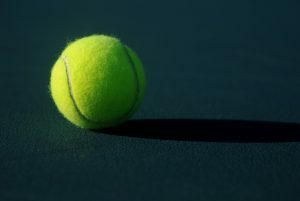 Finding clients as a private tennis instructor can be challenging in the beginning. This is especially true if you’re not familiar with the local tennis circuit in your area. If you’re brand new to coaching or new to your area, posting ads on craigslist is a great place to start. 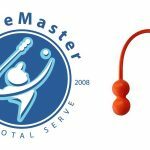 There are also a half dozen tennis websites (like mytennislessons.com) where you can post free profiles. In my e-book and course, I teach you how to create awesome profiles that stand out and attract customers. It took me a long time to figure out the best way to structure my profile. But once I did, I saw a 60% increase in sign-ups. Posting on these websites is free, but the websites take a cut for every client they refer. For example, if a client signs up for six hours of lessons with you, the website takes a percentage of every hour you teach. That’s how they make money. Of course, you can make business cards, post flyers, or do paid advertising. If you’re on a budget, this may not be an option. In my e-book and course, I’ll show you 10 unconventional methods for attracting new clients – most of which are free. The best clients you have are the ones that take lessons week-after-week and year-after-year. These are the clients that build the foundation of your business. For me, these clients are a combination of kids and adults. Tennis is a sport that takes a long time to learn. Parents know this and the ones with money don’t mind investing in weekly or biweekly tennis lessons for their kids. The adults who stick with me the longest are ironically not interested in lessons. They are only interested in hitting or playing matches. For this reason, it’s important you are consistent with your strokes, in good shape, and a level 4.5 player or better. Just this morning I had three one-hour lessons with three different clients. All of them wanted to hit and play sets. This can be quite exhausting, especially in the heat of South Florida, where I teach. For me, the most important way to retain clients is to be very consistent (hitting-wise), friendly, and professional. This means listening to them, complimenting them, and allowing them to win some points and games. In my e-book and course, I have an entire subject discussing the dos and don’ts when dealing with clients. Not to toot my own horn, but I have an excellent rapport with my students. I’ll tell you exactly how I do it. When your students like you, they’ll stick with you for years. This means cash in your pocket week-after-week. When it comes to coaching tennis, I view it in two completely separate categories. The first category is everything but the actual coaching of the client. This involves the marketing of your services, the rates you charge, the markets you should target, how to deal with clients, billing, and scheduling. I go over all of these in extensive detail in my e-book and course. The second category is the coaching and teaching. You may have played tennis for most of your life, but that doesn’t make you a good coach. Since this is only a blog post, I can’t teach you how to best coach students from words. At best, I can give you some guidelines. In my course, I’ll show you exactly how to teach each of these strokes. Now keep in mind that teaching beginners and intermediate/advanced players is quite different. I explain the differences in my course. 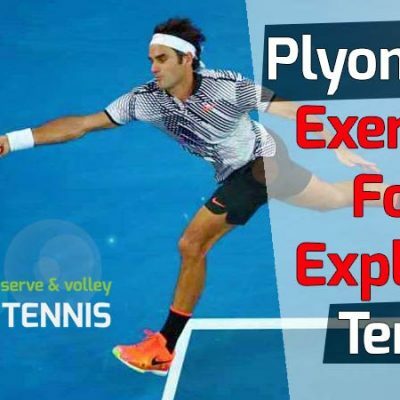 I also show you how to work with players who have a lot of tennis experience. 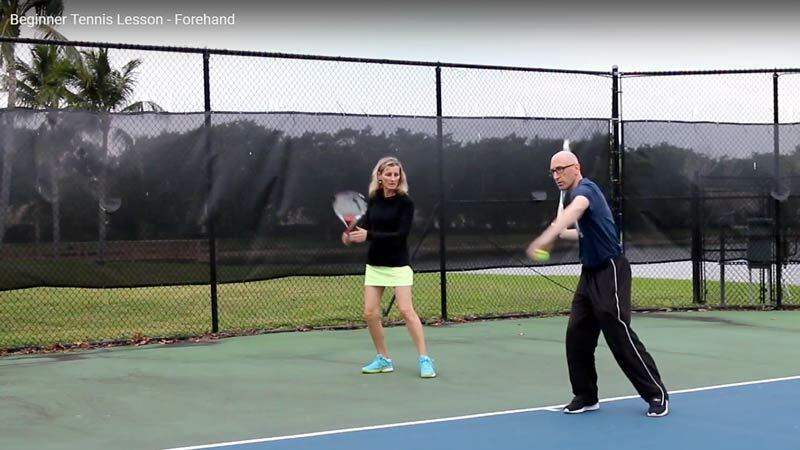 It’s one thing to take a player from scratch and show them how to hit a proper forehand. It’s a totally different thing to work with players who already know how to hit. In my course, you’ll learn things like how to diagnose a player’s strokes and improve them. That’s the main reason people are paying you to coach them. They want results. 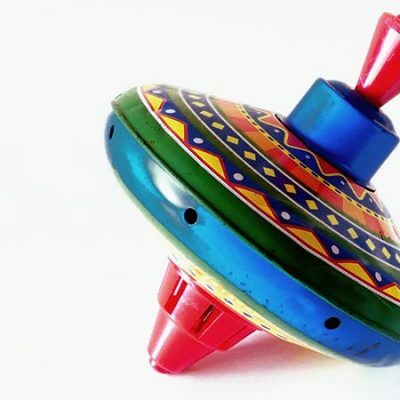 If you don’t know what to look for, or which drills will correct their issues, you’re not going to be very effective. We go over all of that in the course. After taking my course, you’ll be able to diagnose any stroke from any level player. You’ll know exactly what the player needs to change to improve. You’ll also learn how to effectively make those changes. These are all skills I learned from years of coaching. In the beginning, I was like a blind man. I’d see someone serve or hit and couldn’t figure out what their issue was. Two decades and thousands of tennis lessons later, it’s crystal clear. If you’re thinking about coaching tennis, I urge you to give it a try. As I said earlier, there’s a low barrier of entry in terms of money and you don’t even need qualifications or certificates. 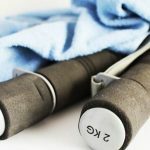 While having a small budget and a few qualifications to your name helps, it’s not essential to start earning money as a local tennis coach. All you need is a hopper and balls to get started. That’s how I did it. 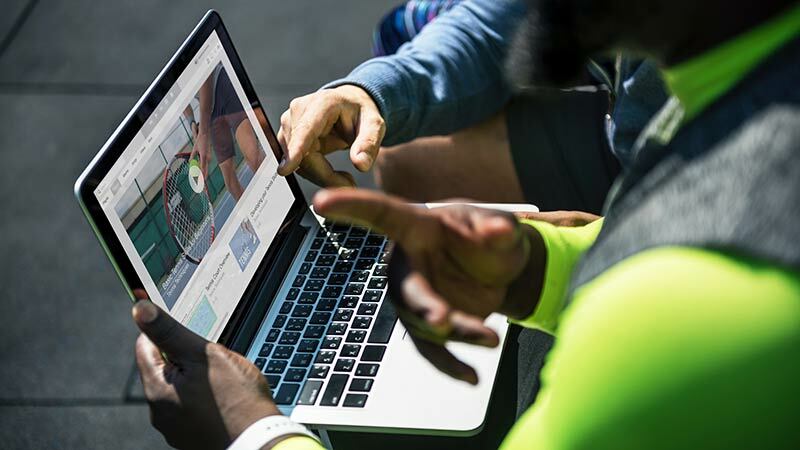 If you post an ad on craigslist today and put up several free profiles on the tennis websites, you might even get your first client within the next week or two. At a rate of $40 per hour, if you attract just one new client per month (that stays with you) you’ll have 12 paying clients after a year. If these clients take a lesson with you once a week, that’s $480 per week – most of which is cash! You might be thinking $480 per week is not much. But remember, that’s only 12 hours of court time. If you could earn $480 every week, that’s $2,000 per month. That money could be a huge difference-maker in your life. From there, you could either scale up or keep coaching a part-time source of income. That’s the beautiful thing about coaching – you’re in control. If you want to stay part-time and work another job, that’s up to you. I know another local coach who works full time. Last year he made around $75,000 for his efforts. He sets the hours he coaches, has plenty of time for his family, and just bought a new house with the money he’s earning. If you want to learn more about coaching, check out my e-book or course. 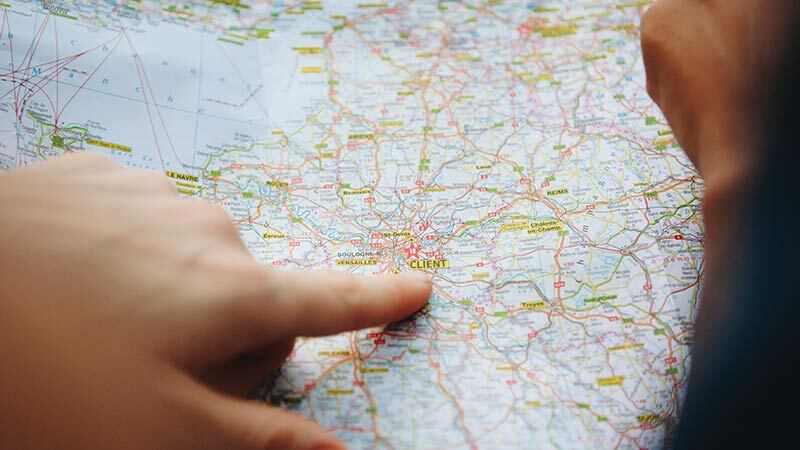 There’s a ton of information in them that will make your coaching journey seamless. In the beginning, I made mistakes that cost me clients and money. Once I figured out how to correct my mistakes, my revenue quadrupled. In my e-book and course, I’ll show you how to earn a full-time income from tennis coaching in less than six months. If you want to learn my entire tennis coaching system, you’ll definitely want to sign up for my coaching course. In it, I show you everything you’ll need to know to be one of the best and highest-paid coaches in your area. If you have any questions about becoming a tennis coach, feel free to ask. Thank you for coming to my blog. Don’t forget to sign-up to my newsletter for all the latest blog posts, videos, and offerings!